It’s that time of year again, when we all spend way too much money on rubbish nobody really wants and then eat more food than any human being should. There is one other tradition which Apple has started for European customers today, after they began this year’s ’12 days of Christmas’ promotion on the App Store. Offering 12 free pieces of content, one each day, via the free iPhone app, Apple’ ’12 days of Christmas’ promotion is becoming something of a tradition for those of us who own iOS devices, and long may it continue! You and your friends can download a fantastic selection of songs, music videos, apps and books for free. Each download will only be available for 24 hours. 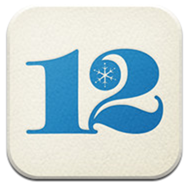 Get our special 12 Days of Christmas app to make it even easier to access your gifts while you’re on the go. While the app seems to be only available in European App Stores right now, Canadian customers should also be able to download it sooner rather than later. With Europe and Canada tending to be the two territories that take part in the promotion, we don’t expect anything to change this year unfortunately, so no free content for those in the United States. As has been pointed out by MacRumors, just because U.S. customers are currently excluded from this promotion doesn’t mean that they are out of luck completely. Christmas and New Year are often times when App Store developers offering their wares at huge discounts in order to drum up business for when everyone sets up their new iPhone, iPod touch or iPad on Christmas morning. Be sure to keep an eye out on RedmondPie.com for any spectacular deals we share over the coming weeks! We’ll let you know if we hear anything exciting from App Store developers, as always. The promotion will run from December 26th to January 6th and will offer all kinds of content, be it music, video or free apps to download. Everyone loves free apps and content, don’t they?! We know we do!